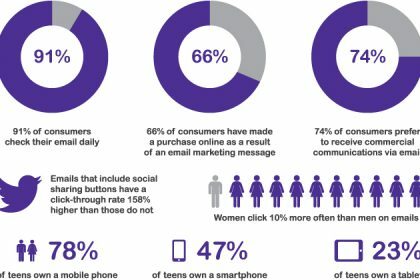 Email marketing is a core element for many businesses, and some even thrive on it. The power that a well-planned email campaign can have is truly amazing and incredibly effective. Well-optimized emails can grow your subscribers, generate tonnes of leads, convert existing leads, and drive huge sales. While this is great for business, what many people fail to do is track their progress and results for further analysis. Tracking important metrics such as conversion rates, click through rates, growth rates, open rates, and more can give you an in-depth insight into your current email marketing strategy and allow to make necessary tweaks and adjustments along the way. So, we are now going to take a look at six metrics and KPI’s that you should be tracking in order to better understand your emails. Your growth rate is the pace at which new subscribers are being added to your list. Growing your list is imperative towards being able to scale up email marketing campaigns and driving sales. 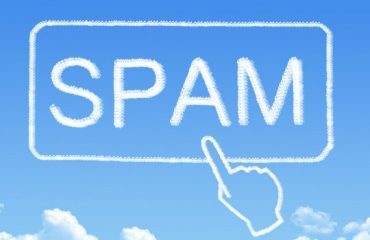 You can calculate your email lists growth rate by taking the number for your new subscribers and subtracting the numbers from your unsubscribers and spam/email complaints. You should be keeping track of your growth rate from day one and study what things you doing which resulted in your growth rate slowing down or falling into negative territory. A click-through rate is measured by the number of email recipients who will click on one or more links that are contained in an email. This is one of the most important metrics to track as it lets you know if the links you put in your emails are actually effective and enticing people to click on them. If they’re not getting clicked on, then you need to play around with things such as the positioning of the links in your email body, the anchor text being used, and your pre-sell copy that appears before the link to attract people to it. You can calculate your click through rate by taking the number of clicks on your links, divide that number by the number of emails sent, then multiplying that number by one hundred. Bounce rate is determined by the percentage of emails you sent out that were not properly delivered to your intended recipient’s inbox. This can be a common problem for many people who are sending out email marketing campaigns, and there are actually two types of bounce rates to look for. The first type is known as ‘soft bounce rate’, and this is when an email can’t be delivered because there is a problem with the recipient’s server or their inbox is full. 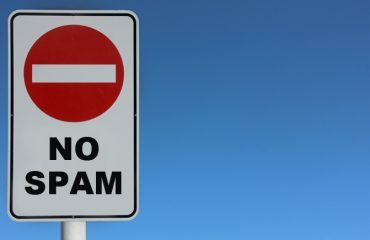 The second type is known as a ‘hard bounce rate’, and this is when emails are sent to an email addressed which have been closed, are invalid, or don’t exist. 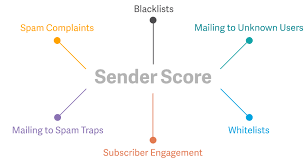 You can calculate your bounce rate by getting the number of total emails bounced, dividing that by the number of total emails sent, and then multiplying that number by one hundred. Conversion rate is measured by tracking what percentage of email recipients click on a link contained inside an email and then proceed to complete their intended purpose. This could be something like filling out a form, purchasing a product, or completing a survey. Tracking this rate means that you know exactly what’s working for you and how successful your emails really are. You could then adjust sales copy or bits of text accordingly to increase this rate if it’s too low for you. The conversion rate can be calculated by taking the number of people who completed their intended action, dividing it by the number of sent emails, and then multiplying that number by one hundred. Sharing and forwarding emails can be huge for you if your subscriber base feels inclined to tell a friend about your email. Your forwarding or sharing rate is calculated by the number of people who decide to forward your email onto someone else or click on a Social Media sharing button contained in that email. Take the number of clicks that the forward or share button has received, divide the number by the amount of emails sent, and then multiply that number by one hundred. If you can tweak your emails to entice people to tell their friends about your business, then you could potentially grow your subscriber rate even more or increase your sales. This stands for return on investment, and it’s calculated by taking your total revenue and dividing it by your total spend. Calculating your ROI is critical because it lets you know if you’re losing or making money. There’s no point in continuing a campaign in the same way if it’s not delivering results for you and it can only end up costing you more money. It’s important to note that not all campaigns immediately generate profit either, and some may be worth continuing for a little while longer if they are showing good growth in revenue.